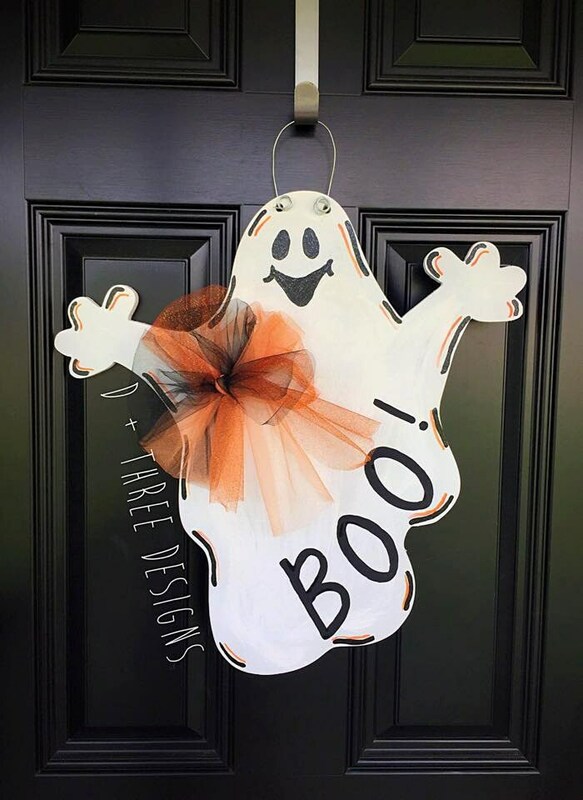 This ghost wooden door hanger is approximately 20 inches tall and comes with an orange and black ribbon bow. Your wooden door hanger will be cut from 1/2" Birch wood and comes sanded and painted. A wire hanger is included for ease of hanging. This comes with the wording "Boo!" but send us a message if you want different wording. It’s a fun design for fall or great addition to your Halloween décor! Again any custom requests or questions please don’t hesitate to start a conversation. Super cute...even nicer in person!